I have never been a lover of chocolate coated ice cream, to tell you honestly. Not pinipig, not even those chocolate magic shell topping. I like my ice cream plain. 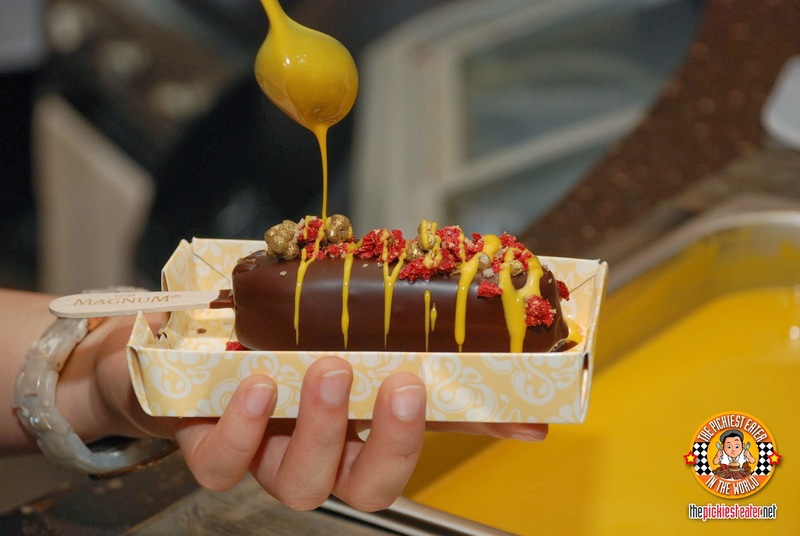 But all of this changed when I tried this ice cream on a stick coated in real Belgian chocolate. Yes, my friends. 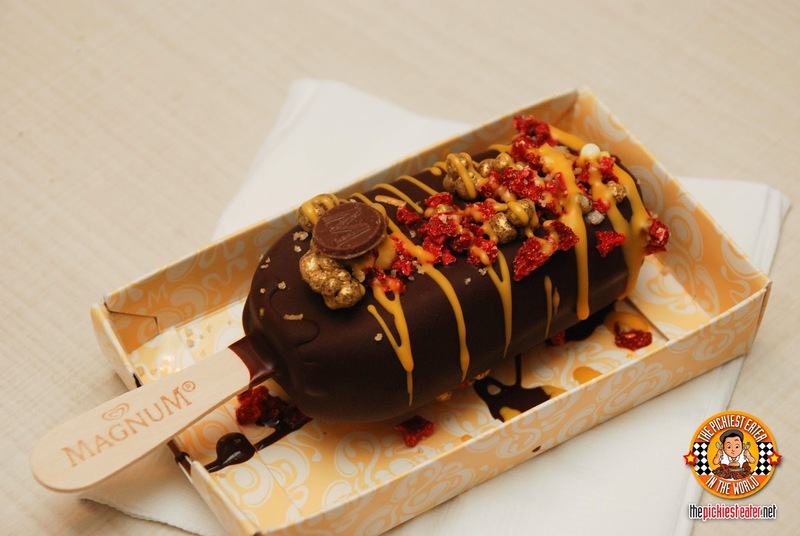 This is what they call MAGNUM. There are countless times when I would stop over by the small grocery near our place after taking Richie to work just to buy a Magnum bar. It’s was good that I didn’t mind paying P50 for a stick of ice cream. Yes it’s a lot more expensive than other normal ice creams but at the same time, it’s slightly cheaper than other international brands. 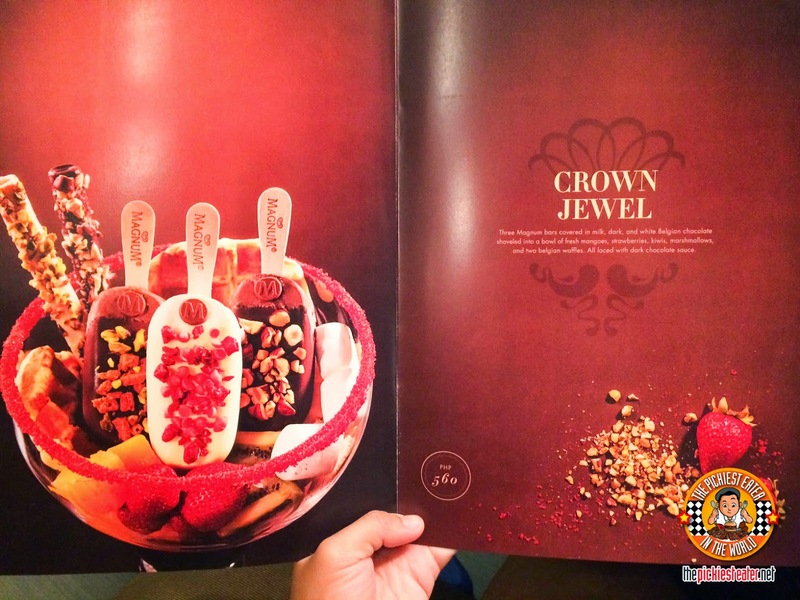 You can really tell that all the ingredients used in that ice cream is of top quality. Especially the chocolate coating! My personal favorite is the Chocolate Truffle because the taste is closer to dark chocolate. And I loooove dark chocolate! 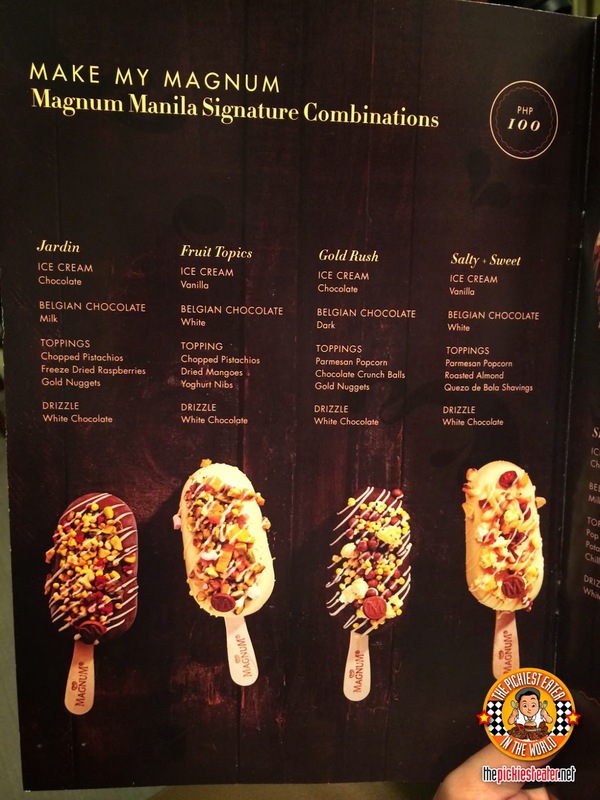 So imagine my excitement when I heard that a Magnum was going to open a Magnum Pleasure Store here in Manila for a limited time! 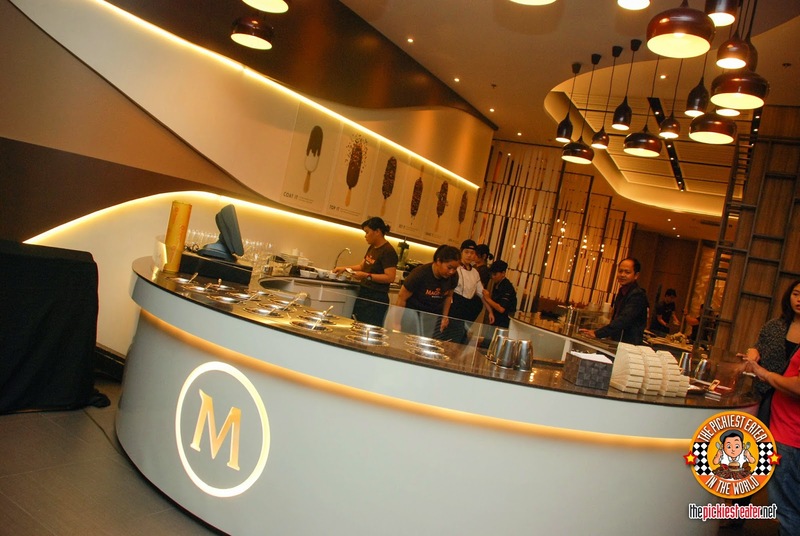 And imagine my triple excitement when we received an invitation to experience Magnum Cafe before it officially opens to the public! 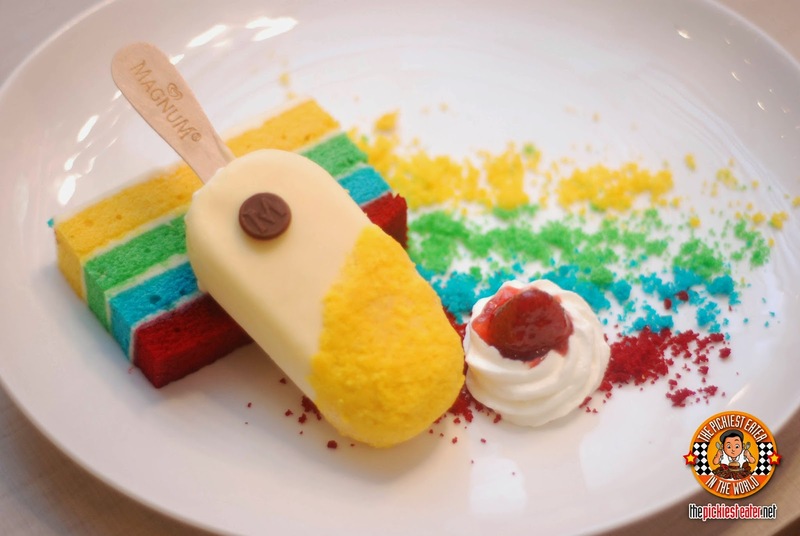 I was so ecstatic and I couldn’t wait to see what pleasures they have in store for me at the Magnum Cafe at SM Aura! 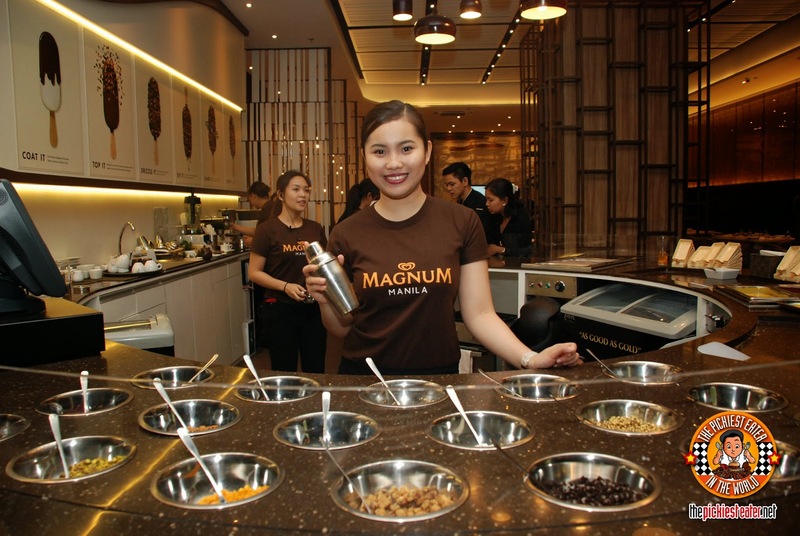 Magnum Pleasure Stores have been the most awaited ice cream experience worldwide. It has become "it" spot in amazing cities like Toronto, Sydney, Shanghai, Sao Paolo, Helsinki, Jakarta, Paris, New York, Milan, London, Istanbul, Hamburg, Cannes, Amsterdam, and now, Manila! First of all, the place is really beautiful. 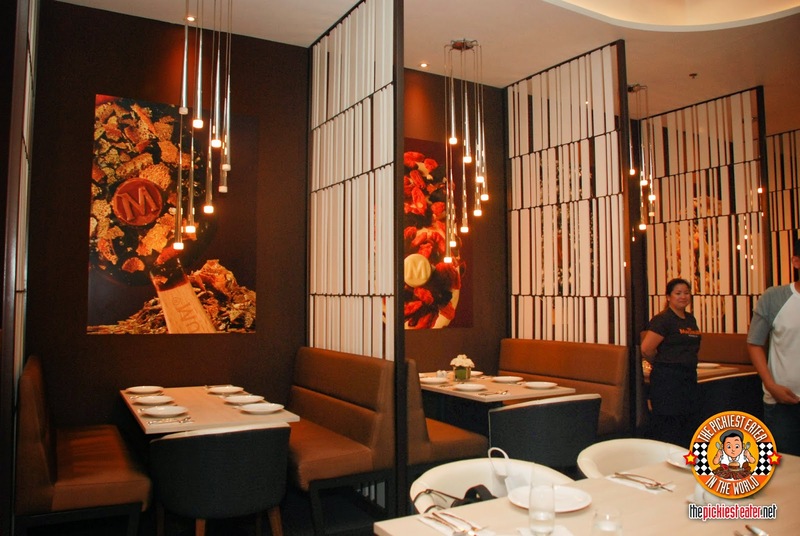 Interiors are done by Ed Calma. It’s very classy and doesn’t look at all like it’s just going to be here for 12 months. 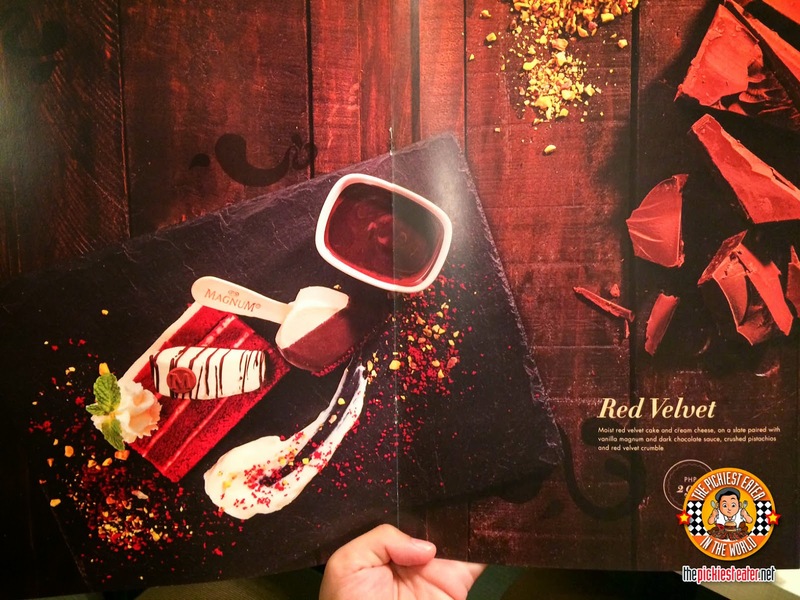 I love their booths with stunning photographs of fancy Magnum bars! You’d think it was a classy resto bar of some sort, which it actually is! 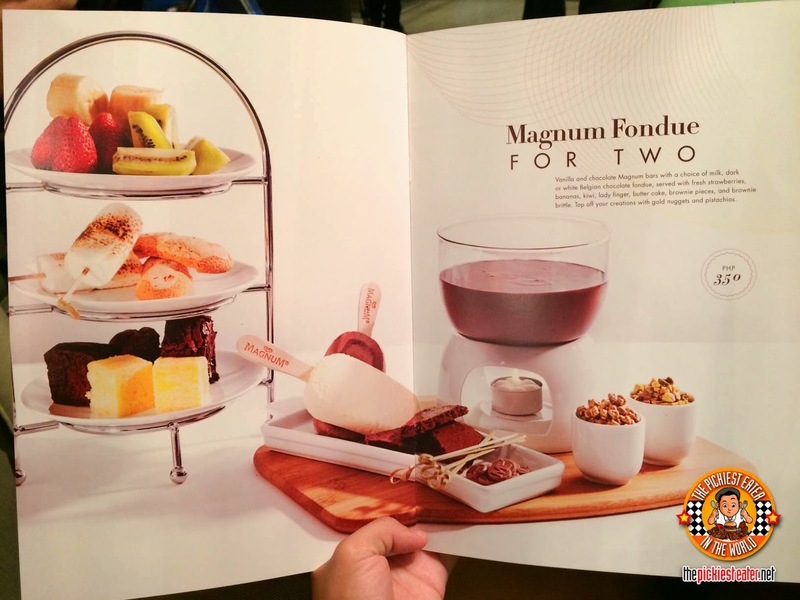 Except that the "bar" is literally bars of Magnum haha! 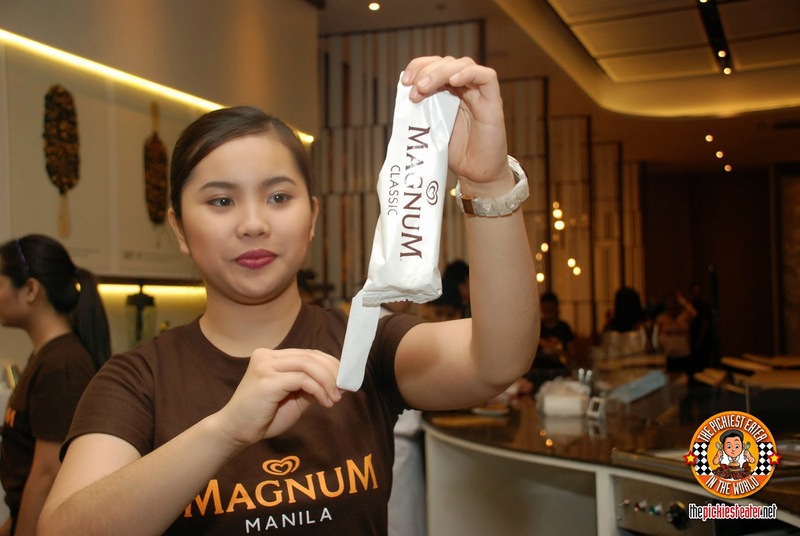 And this is exactly why it's called a "Pleasure Store" because customers will have the pleasure of create their own Magnum bars down from the ice cream flavor, to the coating, to the exquisite toppings of their choice! 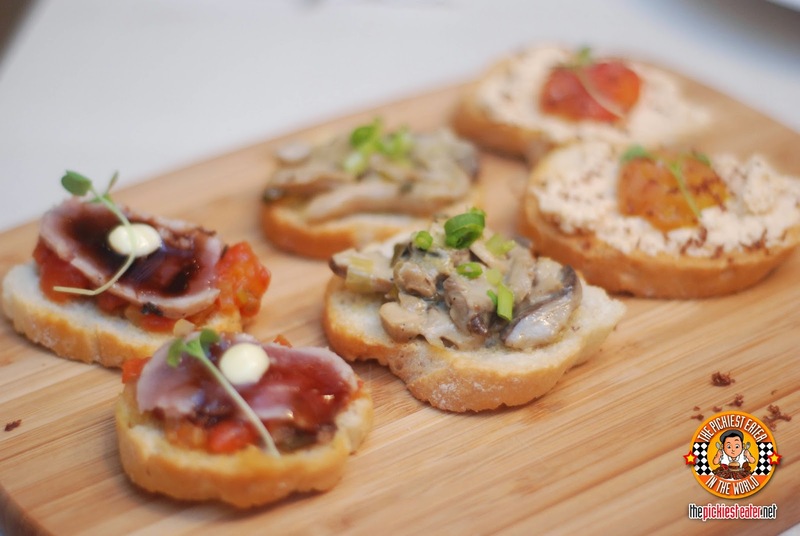 We started off with a board of three kinds of bruschetta. Tuna, Mushroom, and Creamy ricotta topped with marble tomatoes. My favorite was the tuna. There was just an amazing burst of flavors in my mouth! 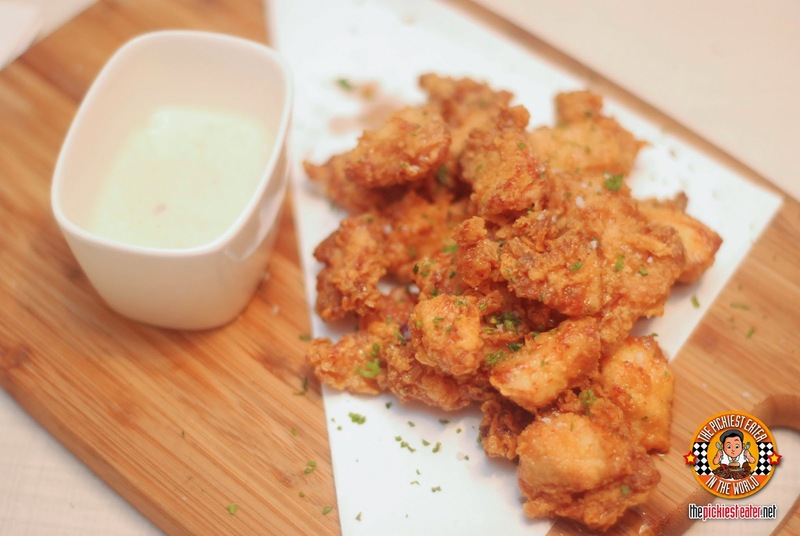 Next was the Cajun Spiced Chicken Poppers with .... wait for it... Bacon Gravy! It was just so juicy and crispy and it tasted like it was glazed with a little bit of honey, and then you dip it in the bacon gravy..... HEAVEN!!! 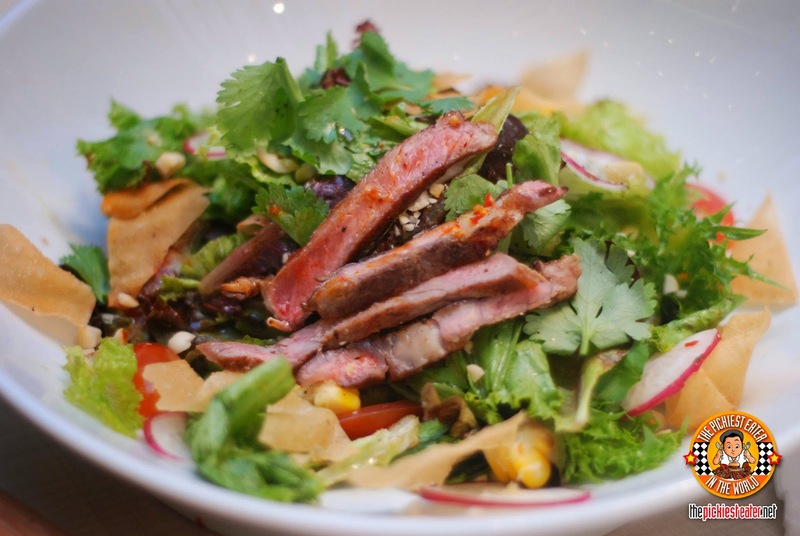 I also enjoyed their Steak Salad. It had a lot of texture and a lot of flavors and then drizzled with a vinaigrette dressing. The strips of steak were cooked to perfection! 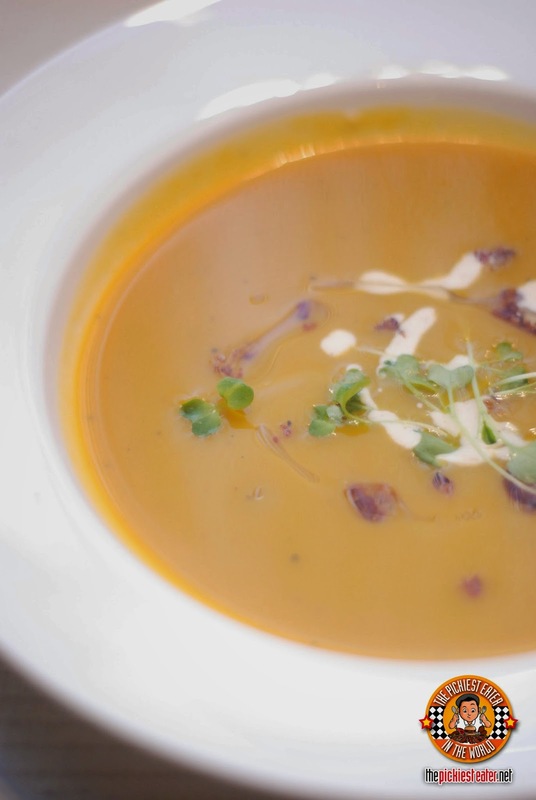 They also served Pumpkin Soup which I thought was just okay. 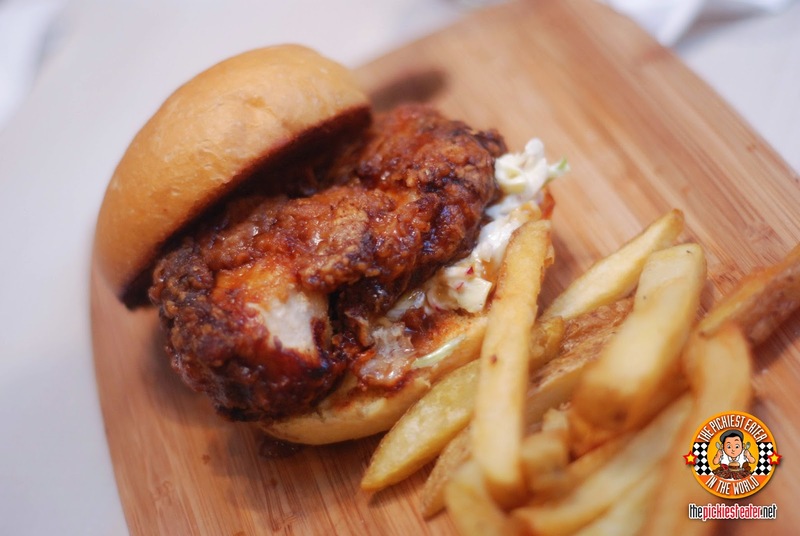 I ordered the Karaage Sandwich, which I loved as well. Sweet, salty, and crunchy! And another one of my friend ordered the Pan Seared Salmon which was also very good! 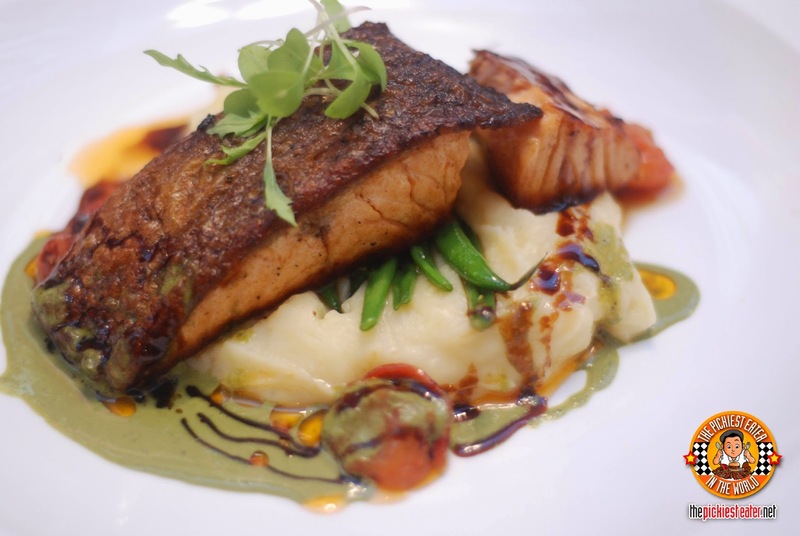 Crispy skin, juicy dsalmon meat, all laying down on a soft bed of mashed potatoes. 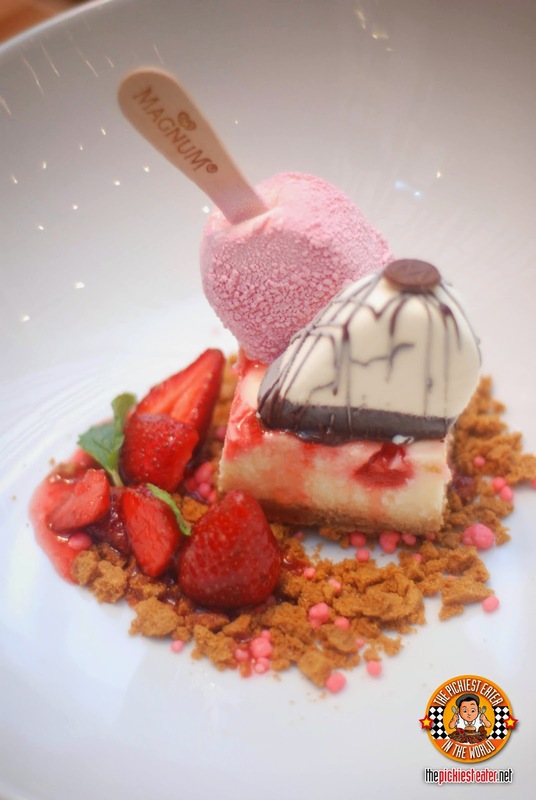 YOU MUST LEAVE ROOM FOR DESSERT! 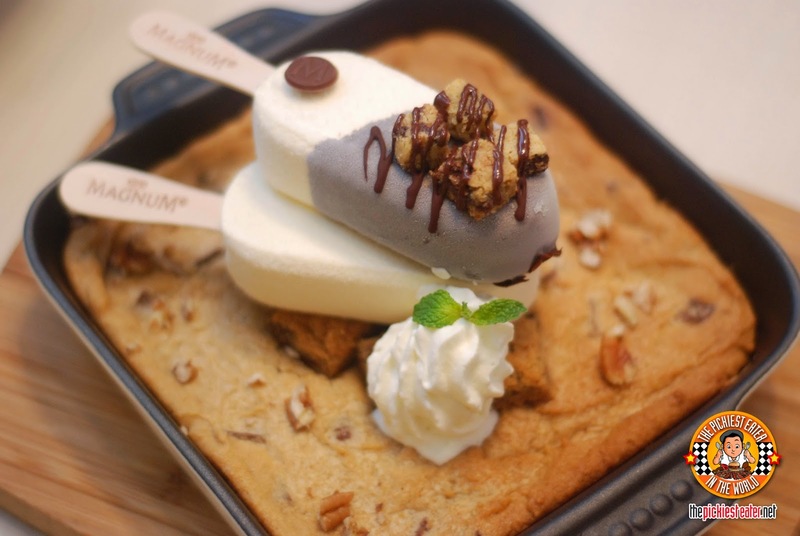 When visiting Magnum Cafe Manila, the number one rule is that you MUST at all cost LEAVE ROOM FOR DESSERT! Because after all, this is where the real star of the cafe comes in. 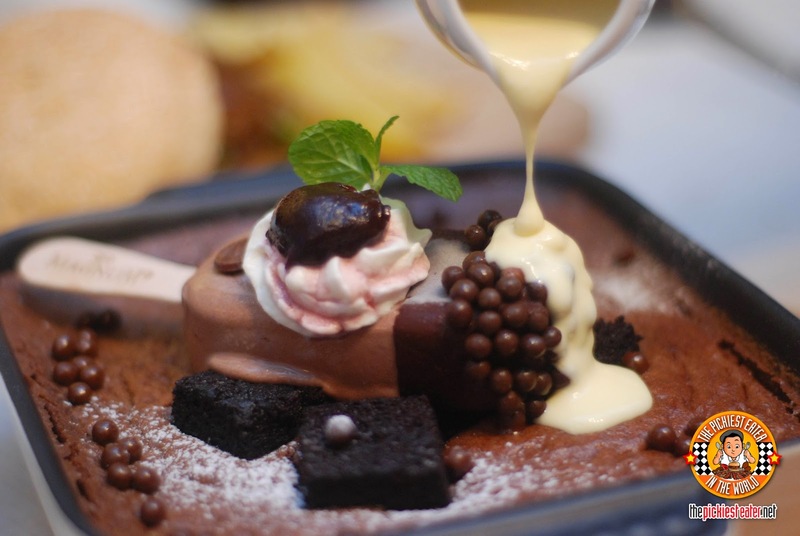 Presenting the wonderful plated Magnum desserts dishes! These are beautifully plated dessert dishes created by Chef Miko Aspiras, an Award Winning Pastry Chef in global competitions! The photos will speak for themselves! 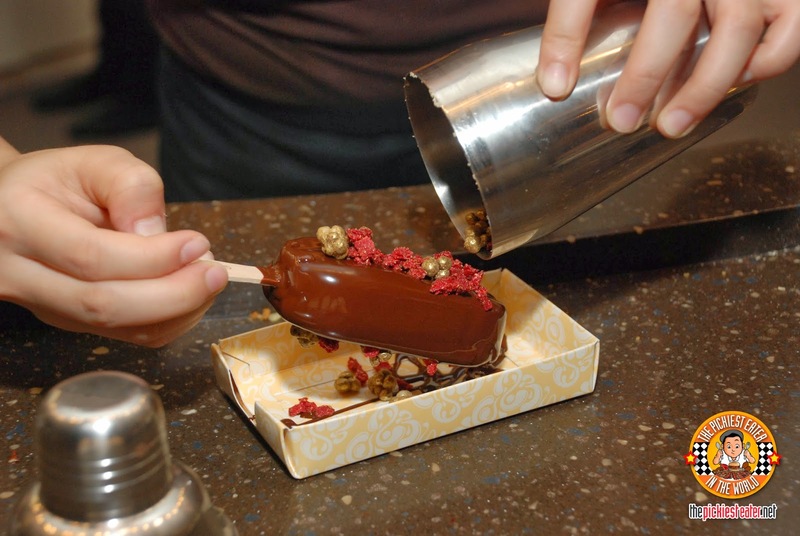 And then of course as mentioned earlier, you can make your own Magnum bar! 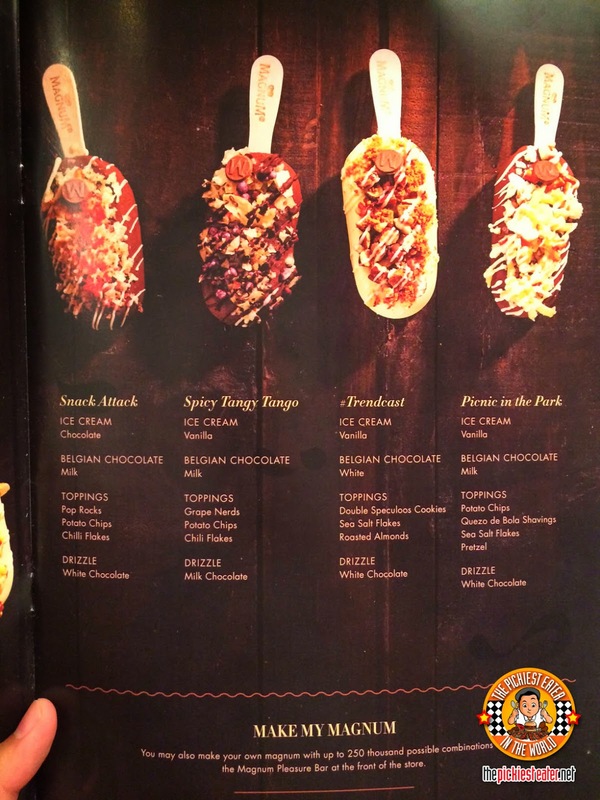 Here are the six easy steps in creating, sharing, and enjoying your very own Magnum creation! 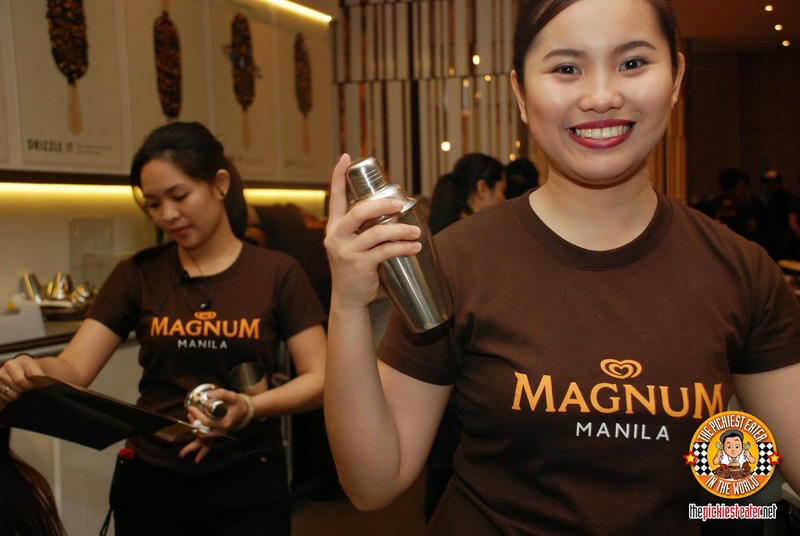 Magnum girl puts your three topping choices and shakes it in a mixer with a smile! 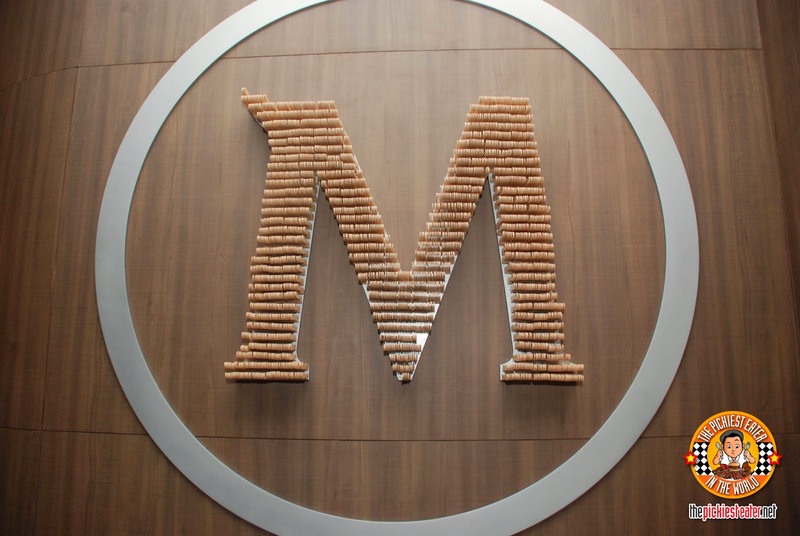 Then pick your Magnum bar. Chocolate or Vanilla. Then choose your coating! I picked Dark Chocolate! They also have gold (salted caramel) and Milk Chocolate. And then pick your drizzle! I chose the golden salted caramel. 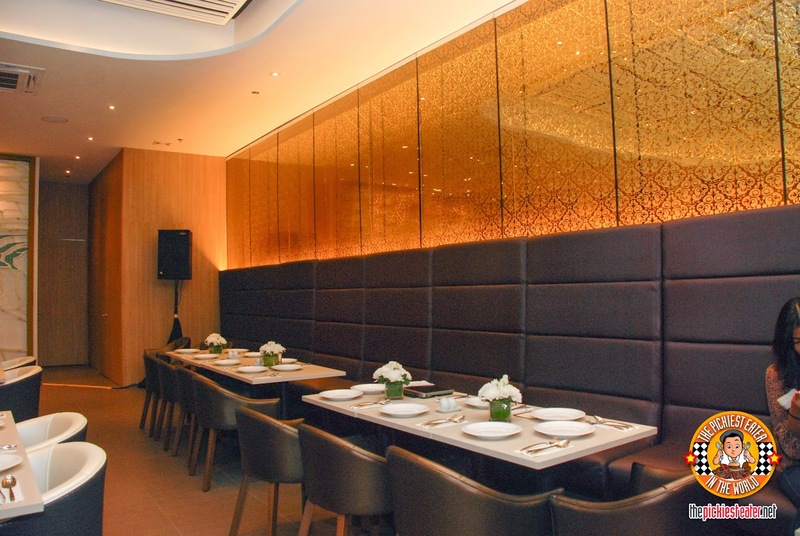 Magnum Cafe Manila opens at the brink of summer on April 8, 2014, at SM Aura SkyPark Dining. What a perfect way to spend the summer! 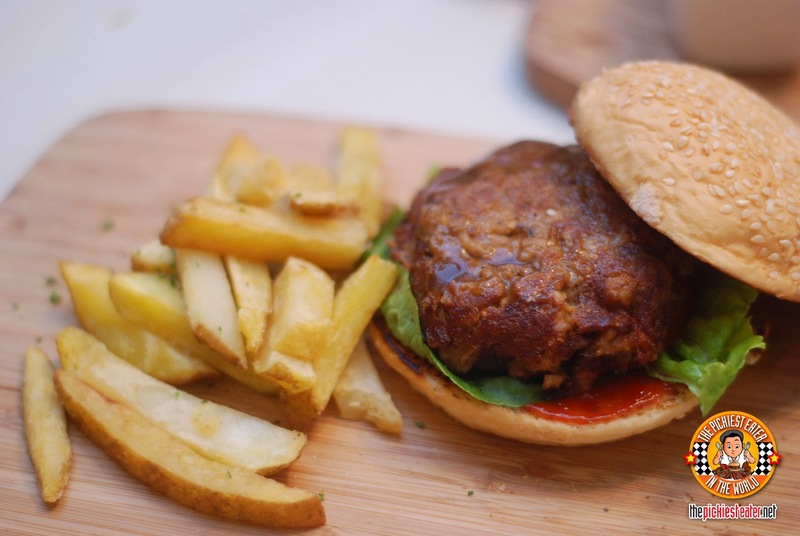 It's definitely a must-try! Only open for 12 months so make sure you make time this year before it closes! 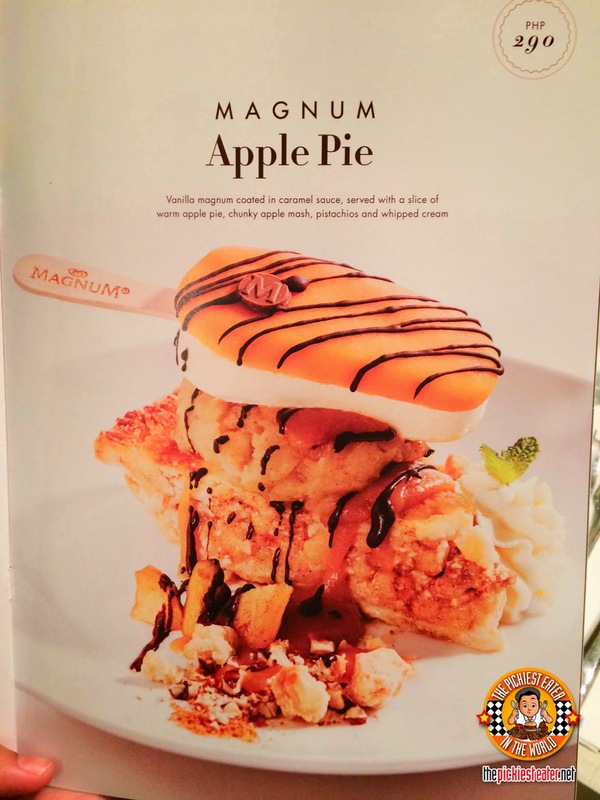 I visited Magnum Cafe last weekend to try out their signature dessert dishes. Oh my, Death By Chocolate was amazing! But I think they were not yet serving the hot dishes so I will just have to come back next time to try these out. MISTER DONUT WOW BAVARIAN AND NEW SNACK PACKS!